A major presence in music for six decades,making his music a source of pride and inspiration for African Americans. 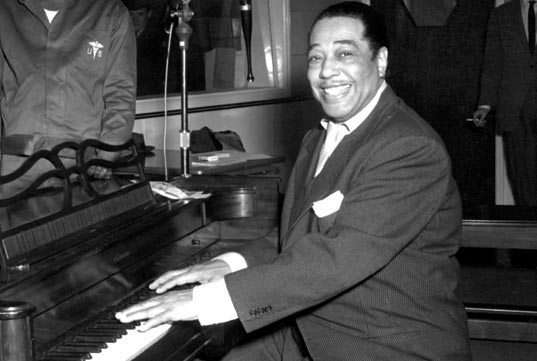 On May 4, 1940, he recorded “Cotton Tail,” which would redefine jazz for the next generation. This song would go on to be recorded by many of the jazz greats, including Ella Fitzgerald, Louis Armstrong, Herbie Hancock, Oscar Peterson, Wes Montgomery, and Buddy Rich. “Cotton Tail” broke a lot of the rules: though it starts with a traditional thirty-two bar structure, the Duke quickly abandons it to introduce a new four-bar form. Solos by Ben Webster and Ellington help make this a classic.